Apply online with our finance application for 1st Mortgage Loans, Second Mortgages, Business and Personal Short Term Loans and Bridging Finance. 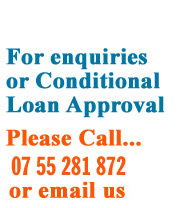 CALL US 07 55 281 872 to receive a conditional loan approval over the phone or complete quick application form opposite. Select our ‘Full Application for Finance’. Complete and submit our 'Application For Finance' following the directions on the front page of the Finance Application.